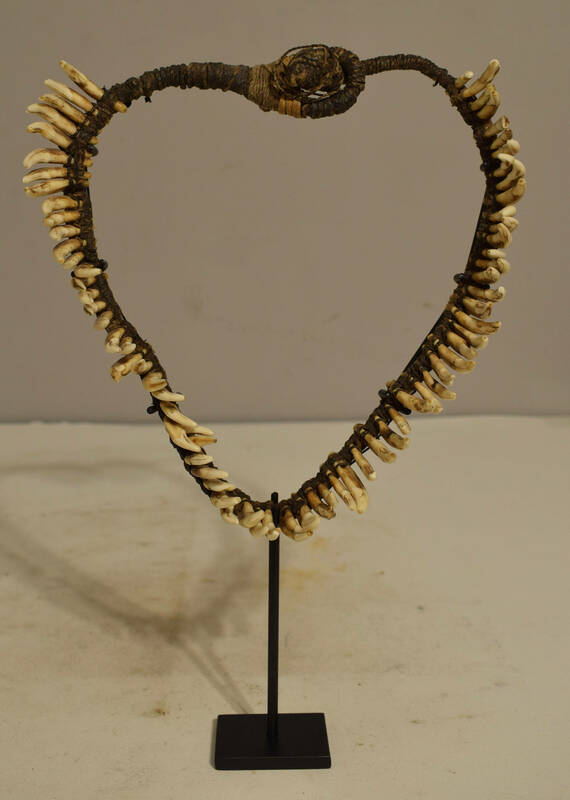 This is an amazing and fabulous Old Dog Teeth Necklace from the Boiken people from the Prince Alexander Mountains, Sepik Province, Papua New Guinea. 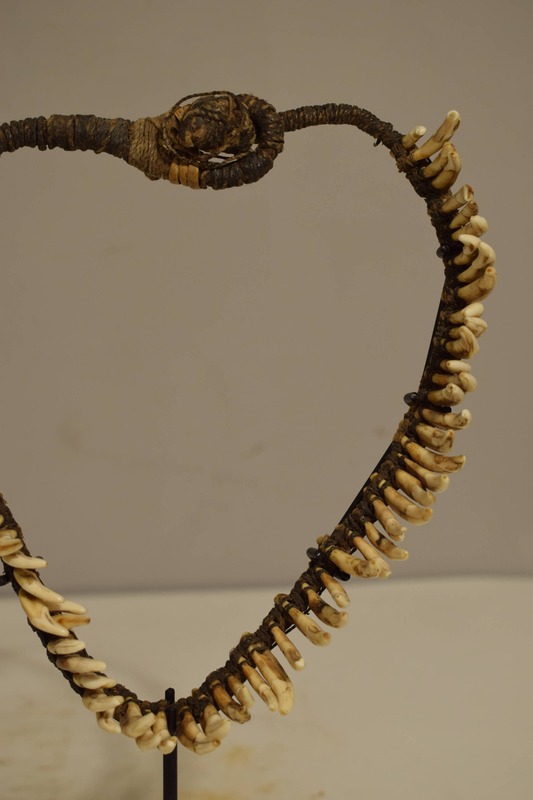 This impressive necklace is laden with Dog Teeth, individually pierced and assembled using traditional weaving techniques. The Abelam and Arapesh, Boiken and Madandg people use dog teeth for currency when paying for brides, compensation and land payments and buying pigs. It would have been an important object of personal adornment communicating wealth and status. This necklace is worn by both men and women in dance and ritual. Dog teeth were so valuable that during the colonial period the Germans manufactured porcelain dog teeth in Europe and imported them to New Guinea before WW1 for bartering. 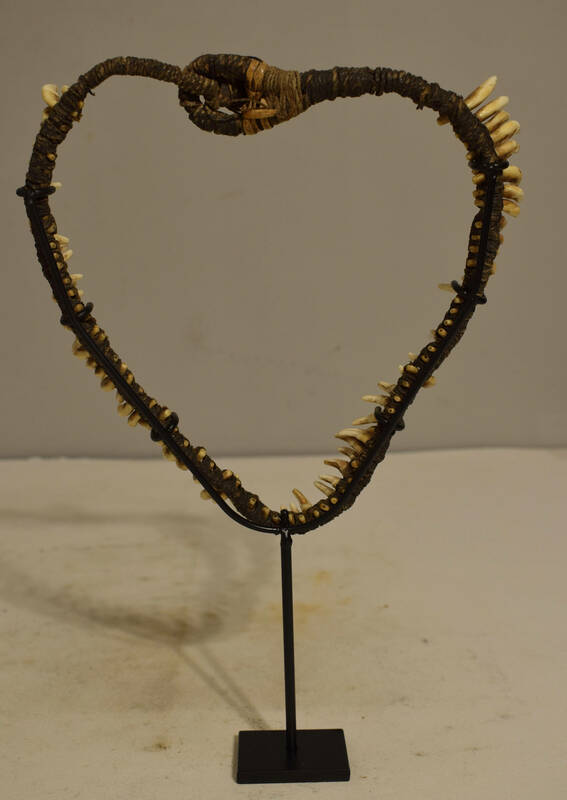 This Papua new Guinea Dog Teeth Woven Necklace is a beautiful piece of personal adornment and would be unique in your home or collection. Shows age, but overall in good condition. 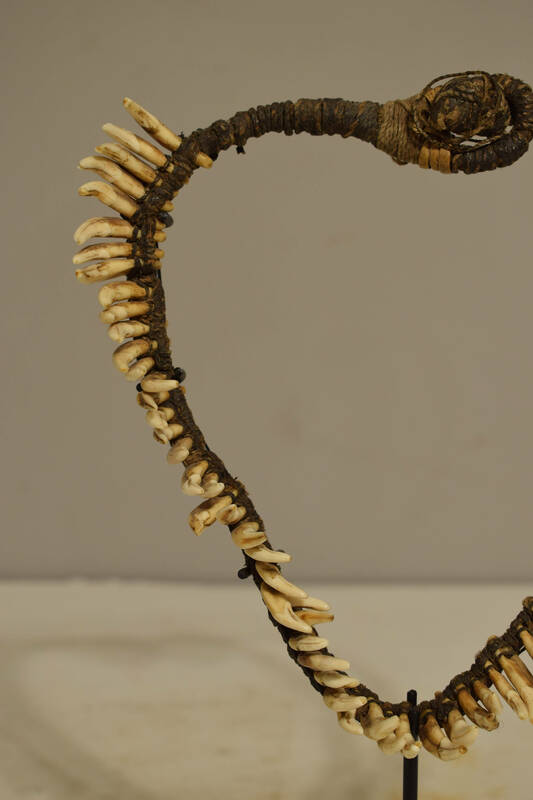 This Dog Teeth necklace has 72 teeth and is from the 1970's.